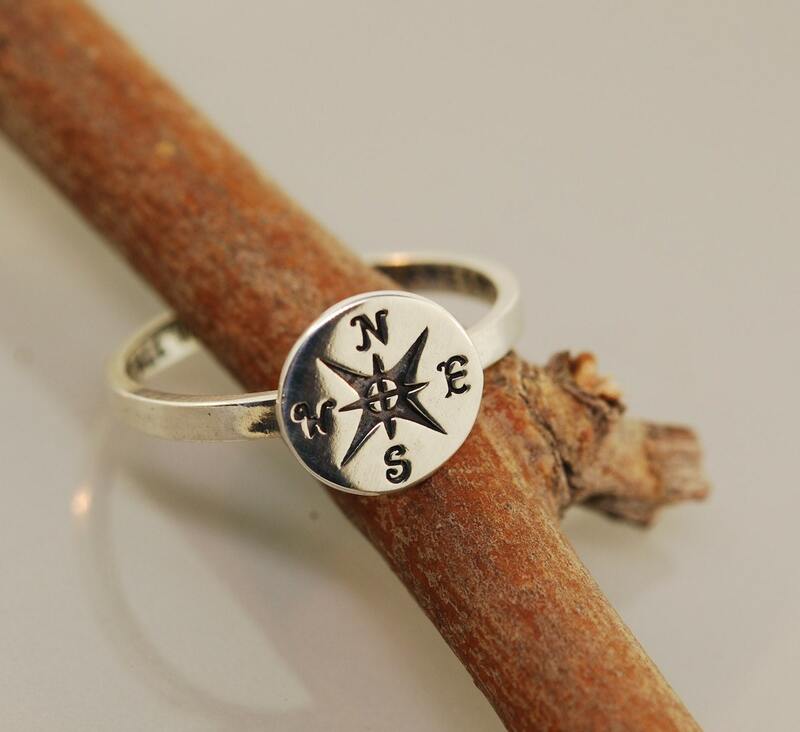 A sterling silver compass is the focus of this cool new ring. 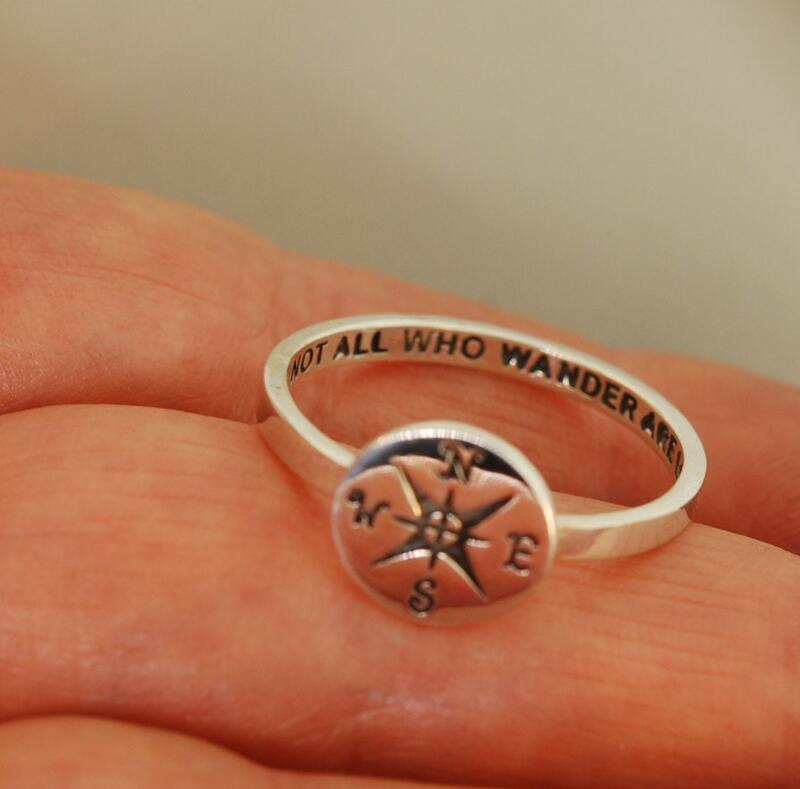 Inside the band is a message, "Not All Who Wander Are Lost." 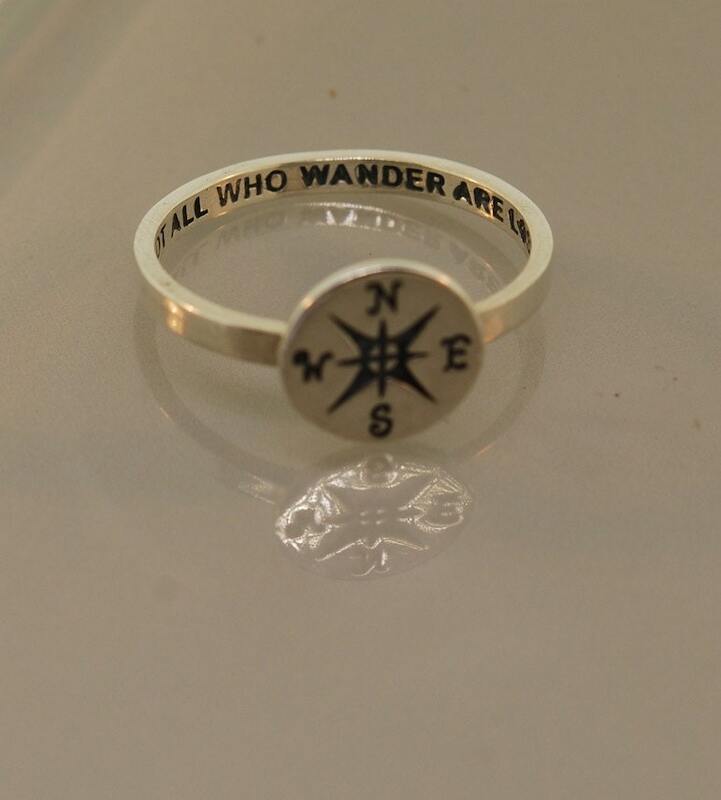 I was inspired to make my compass ring with other secret messages inside due the positive response I got from my Journey style. 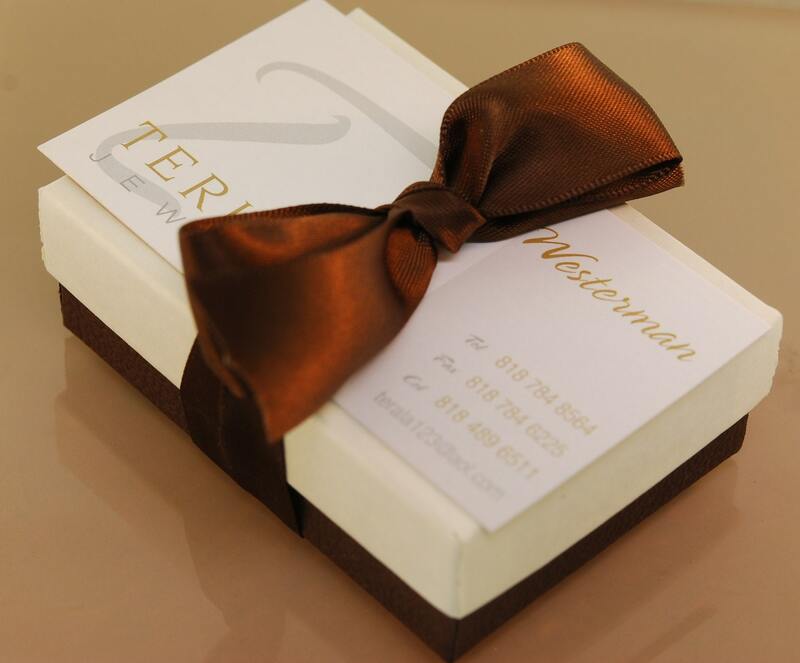 I can also make this in 14 karat gold solid. Please email me for a price.